In our on-going investigation "Drowning in Dysfunction" that examines the Cleveland Water Department, 5 On Your Side Investigators have yet another strange billing situation to tell you about. A local woman claims she's in the middle of finger-pointing where she felt forced to pay another person's bill. "It's kind of disrespectful…I feel like I was lied to,” said Samaria Harrell. She and her family rented a home on Elberta Avenue on Cleveland's east side for about a year from 2016 to 2017. She told us she knew she was a bit behind on her payments, but she didn't have online access at the time. So, she called the water department, gave them the address, and asked what she owed. "I was told between the water and the sewer department I had to pay over $1500," said Harrell. She went on to say the customer service rep told her the property was already on a list to be disconnected in 2 days. "It freaked me out. I have kids. I have to pay this bill,” she told us. Cleveland Water told us, in general, disconnection notices include a letter then a door hanger at the address. Harrell said she never got any notifications. “I felt like I was kind of bullied," she said. She put the $1500+ on two credit cards. Harrell finally got on-line and researched her account. She said she only owed less than $450 for water and sewer not $1500. Let's flashback to when Harrell first moved in. She said her landlord told her that the previous tenant did not switch the water into that tenant's name which means the water was still in the landlord's name. At that time, Harrell went to the Cleveland Water Department, signed a tenant agreement and set up water and sewer under her name. Cleveland water told us that agreement is set-up to protect tenants as long as they stay current on their bills. If they fall behind without contacting Cleveland Water, then that agreement is broken and the account goes back into the landlord's name. Fast forward to after she paid the $1500, she said she found out the previous tenant left a hefty balance on the water bill, again, in the landlord's name. 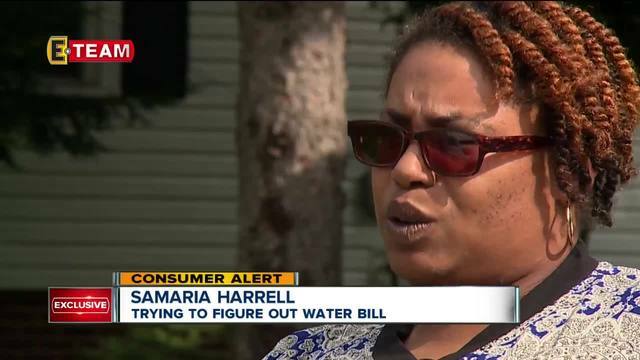 And even though Harrell asked what she herself owed, she said the water department gave her the overall bill for that address. She said she was never told who owed what. “Like this portion is yours. This portion is his,” she claimed. “I would have said, 'Let me call you back." 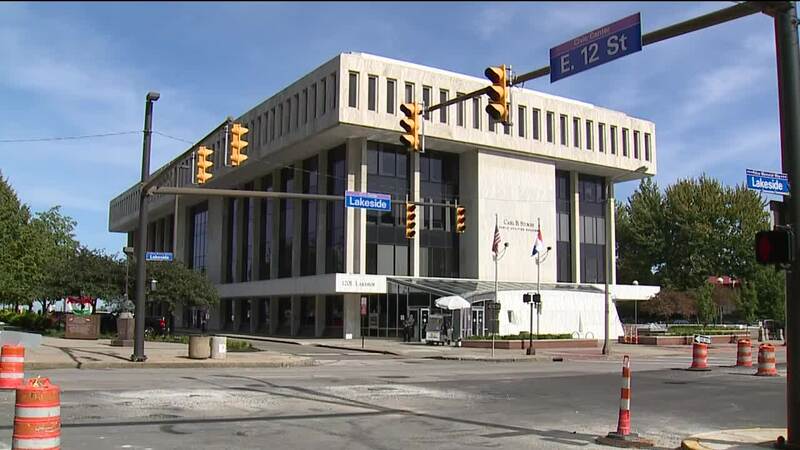 Cleveland Water said, generally, hefty balances trigger properties to go immediately into the disconnection process and, if tenants want to keep the water on, balances have to be addressed. We visited Ellard Kinney. He's the landlord. His home is just off a golf course. He claimed neither Harrell nor her husband talked to him about the mixed-up bills. "Not a call? Not a word about this water situation?” we asked him. We asked Harrell about that response. “Well, that's not true,” she told us. To be clear, Kinney technically has done nothing wrong. He did have a large, outstanding water bill in his name. “She didn't know she was paying somebody else's bill,” we told him. “Then, that's a problem she has with the water department not with me!" Kinney said. And what did Cleveland Water tell Samaria? "I needed to basically start litigation with the landlord to get the money back," said Harrell meaning she should sue the landlord. Harrell feels stuck in the middle. Her battle has been going on for a year now. At the very least, she wants her account to be credited from that previous tenant's bill. "So, it's your assertion that the water department made a mistake and you paid?” we asked. Cleveland Water said if you're having issues paying a bill, call them and keep open communication. Otherwise, some complex issues can arise. After we got involved, Cleveland Water said it will reach out to Harrell and it's open to taking another look at her account.